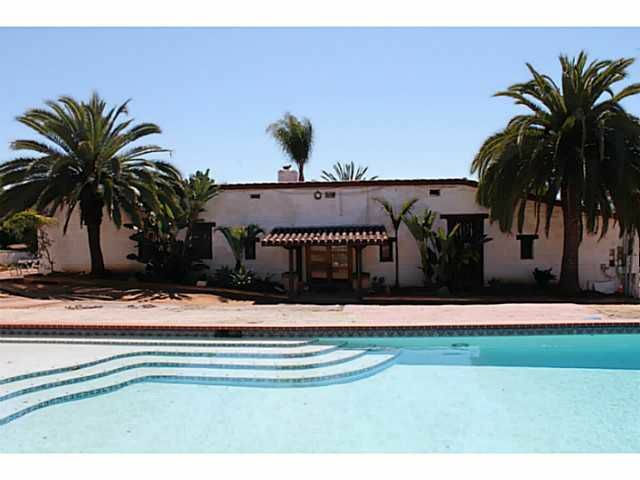 Don't miss the chance to live in this beautiful spanish hacienda! 2 acre PRIVATE and GATED property. Rent includes - water, sewer, trash, sdge, wifi, pool service, grounds maintenance, orange grove with all the oranges you can eat, and much more. Home offers 4BR/4BA, and over 3100sf! High ceilings, Spanish tile, and NEW carpet as you enter through the dramatic double door entrance. All appliances are included, double door brand new refrigerator, washer dryer, and a brick fireplace/oven.